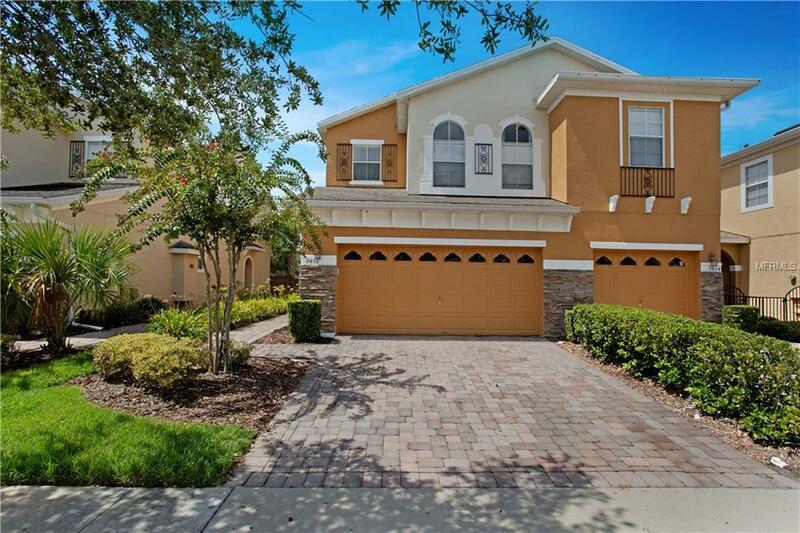 This home qualifies for a No Closing Cost Loan, learn how you can save thousands on the purchase of this beautifully maintained two-story, 3 bed/2.5 bath townhouse in the guard gated community of Lake Nona Preserve. Upon entry you welcome the open floor concept, lots of natural lighting, and a soft color palette to compliment everyones taste. Completing the first floor you have ceramic tile throughout a kitchen/ dining room combo that overlooks the living room and a powder room, making this a great space to entertain guests. The Kitchen boasts 42 wood cabinets, granite counter tops, sleek appliances and a breakfast bar. The upstairs master suite comfortably fits a king size bed and furniture, featuring walk-in closet and upgraded trey ceiling. The master bath has a separate garden tub, dual sinks, and nicely tiled glass shower. An upgraded utility room is conveniently located on the 2nd floor for easy laundering. This unit also has an attached 2- car garage, so your vehicle will be safe, and you can have some extra space for storage. The community features a clubhouse with fitness room and lounge, resort style community pool and playground. Walking distance to restaurants and shopping. Minutes from Lake Nonas Medical City, A+ Schools, Walt Disney World and Attractions, Orlando Intl Airport and Major Roadways Including 528 Beachline and 417.